As NASA’s Space Shuttle program winds down, the next generation of space ships is shaping up, most notably with SpaceX’s “Dragon” capsule. The Dragon capsule, intended in the near-term for unmanned supply missions to the International Space Station, has already been tested with a successful launch into space with SpaceX’s Falcon 9 rocket. 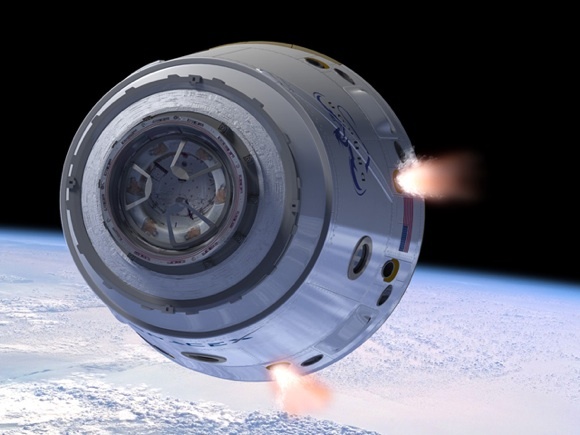 SpaceX also plans to make the capsule rated for manned missions. According to Elon Musk, the “nerdwealth” millionaire who is financing SpaceX, the Dragon capsule is capable of landing on other planets. In fact, Musk’s ultimate plans are to have colonies on Mars as soon as possible, and presumably the Dragon will play a role in getting people there. Remarkably, only nine years after its inception, SpaceX is already reported to be operating at a level comparable to the European Space Agency, a collaboration between 19 European nations established 36 years ago. This is why I believe the future of space is with free enterprise. Motivated by competition and profit, private companies tend to operate far more efficiently and with more innovation than government agencies. This. The data bears it out. For just about everything. Yes, and that’s why I’m a supporter of the free market. Wherever humans are concerned there will be good and bad, but in general freedom tends to bring out the best in people. At the very least, it allows people to be their best.